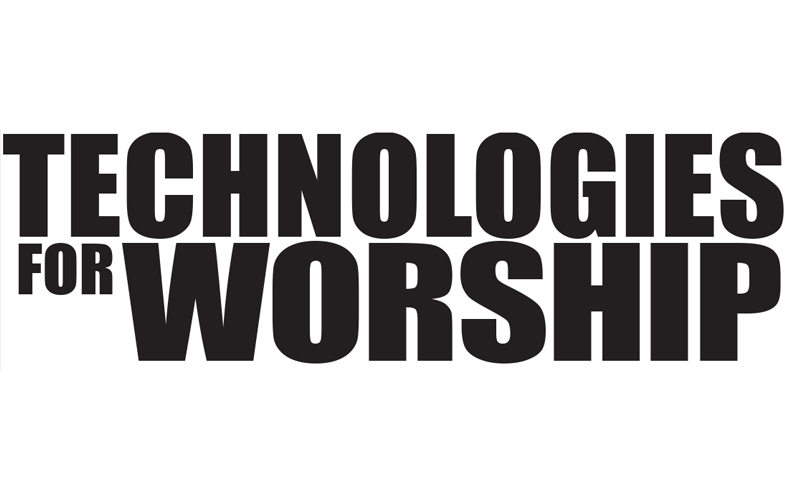 Colorado-based Flatirons Community Church first began working with FOR-A switchers in 2011, when the house of worship purchased an HVS-350HS 1.5 M/E unit for its main campus in the town of Lafayette. Upon the recent opening of its West Campus in Genesee to support the ministry’s continuing growth, the church was in the market for a new video switcher. Having been so pleased with its FOR-A switcher, Flatirons Community Church had no doubts about staying within the FOR-A family for its new unit. The church purchased an HVS-390HS 2 M/E switcher for its main campus, and moved its HVS-350HS switcher to its new satellite campus earlier this year. Between its two locations, Flatirons Community Church has an average weekly attendance of 17,000 people. Four weekly services take place at its main campus, while two services are run at its second campus. The church relies heavily on its nearly 100 volunteers. In fact, the house of worship’s volunteers almost exclusively handle video production. The similar functionality between FOR-A’s HVS-350HS and HVS-390HS switchers and the user friendliness of the units has simplified the church’s operations. A unique feature of the switchers that the house of worship takes advantage of in its multiscreen directing is the ability to prohibit any input on either of the M/E buses. 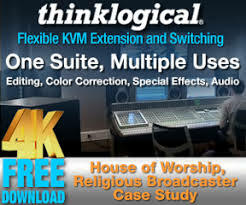 While the church’s volunteers have been able to easily learn how to operate the FOR-A switchers, this feature ensures that no one accidentally takes a source to the wrong screen, at any time. Another switcher feature that Flatirons Community Church appreciates is the ability to take a single source, such as song lyrics, and key them over multiple outputs in different positions. 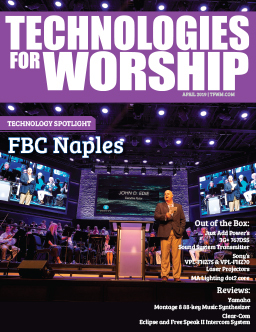 The switchers’ ability to program multiple events and include different DSK’s for each event, as well as the option to produce different visual effects, are other features that the church frequently relies on. For more information about FOR-A’s product line, call 714-894-3311 or visit www.for-a.com.